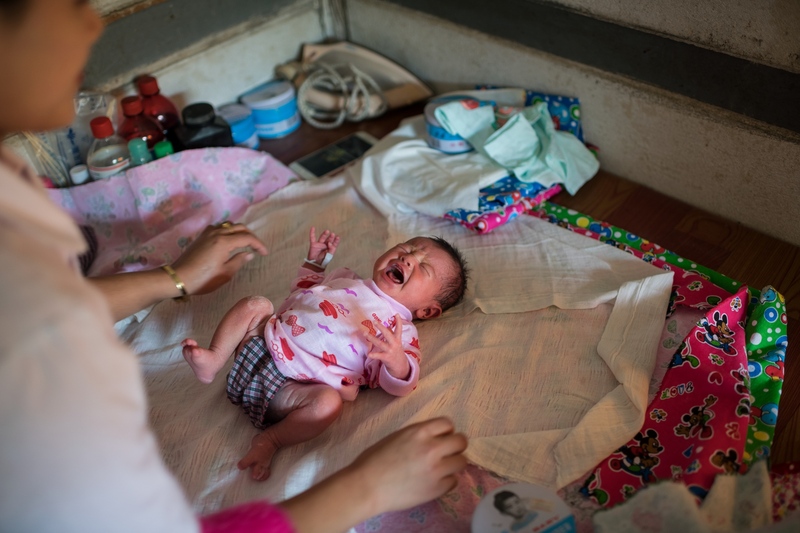 Nhkum Hkawn Lung, 27, folds her two day old baby girl in a blanket. Nhkum Hkawn Lung, 27, breastfeeding her two day old baby girl, her third child. – When I was pregnant I was scared of a grenade to hit the hospital, she says, I am always worried, i don't know what will happen next, when and where the next grenade will fall. She has reason to worry, grenades often hit civilian areas in Kachin. 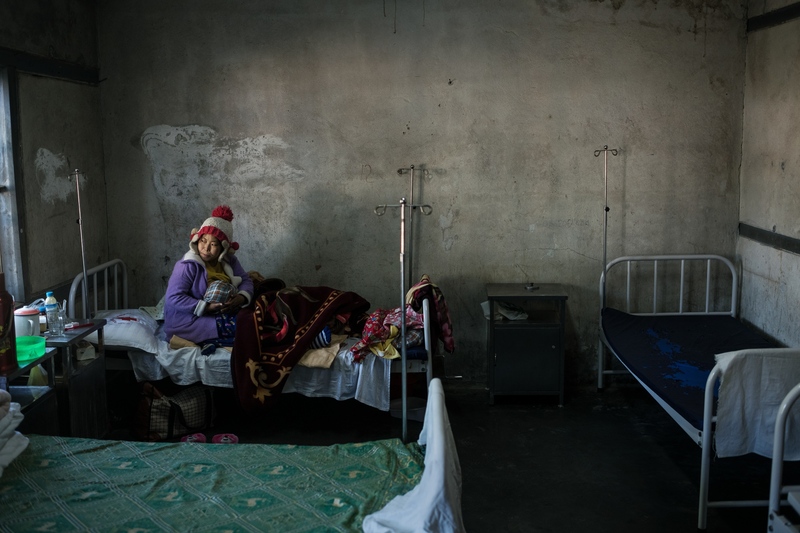 On Christmas eve a teacher got hit by shrapnel in the neck, barely a kilometer from the hospital, and fighting has intensified lately, with attacks on both residential areas as well as camps for Internally Displaced People.Nurses attend to a newborn baby at the Laiza hospital Maternity Ward. Nurses attend to a newborn baby at the Laiza hospital Maternity Ward. 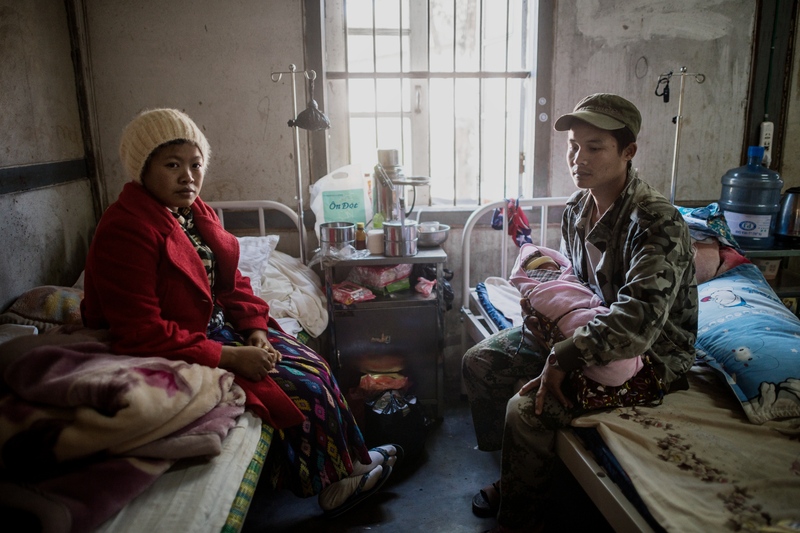 Gun Htang Hkawn Nan and Lahtaw Naw Ja with their newborn second son, Lahtaw Seng Naw Sut, at the Laiza Civil Hospital Maternity Ward. 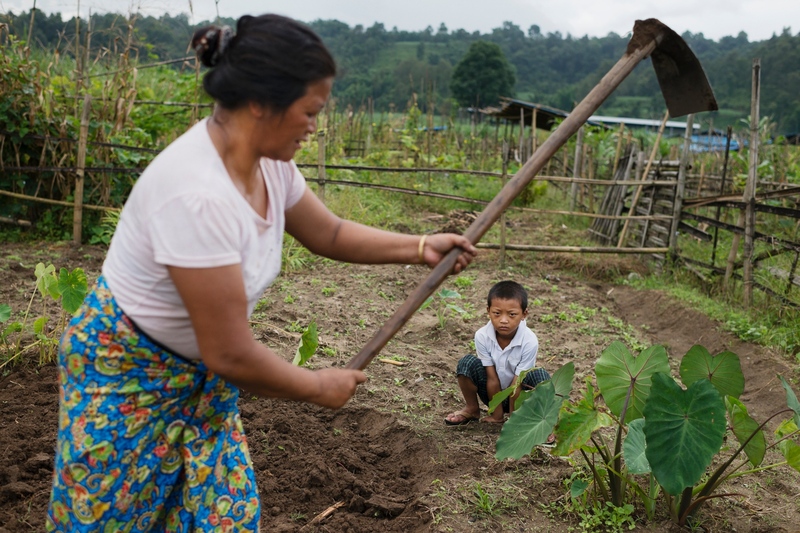 Both parents are employed in the Kachin Independence Army, the armed wing of the Kachin Independence Organisation, which have been fighting for autonomy in Kachin for about 60 years. Hkwan Nan says she is split about her children taking part in the fighting. – As a mother i worry about my sons being in danger, but at the same time, i would be proud for them fighting for our people and country. 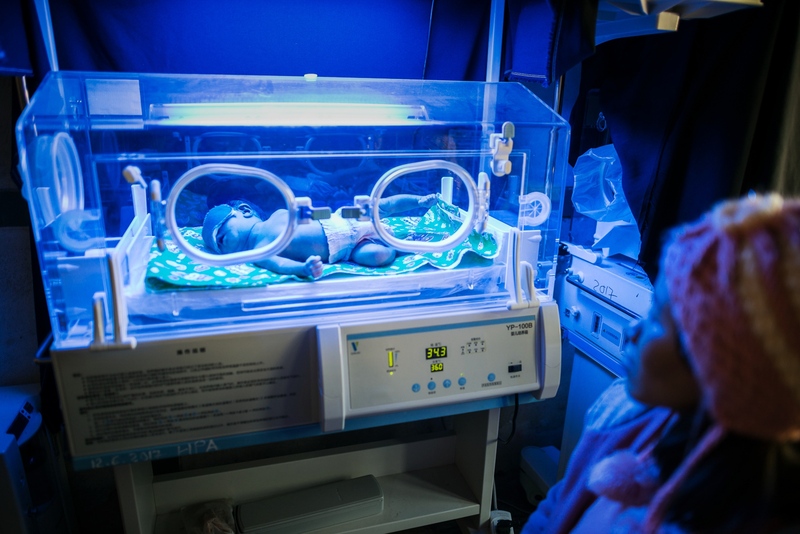 A woman watching over her newborn in an incubator at the Laiza Civil Hospital Maternity Ward. There are two working incubators in the maternity ward, used for children born too early or by C-sections. Mothers and fathers with their newborns taking in the sun out the back of the Laiza Civil Hospital Maternity Ward. 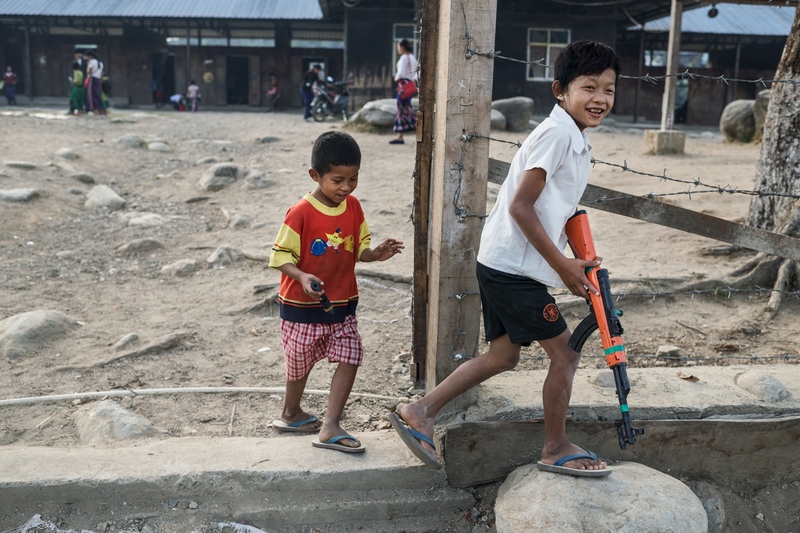 Children with toy guns play in the schoolyard at Je Yang IDP camp. 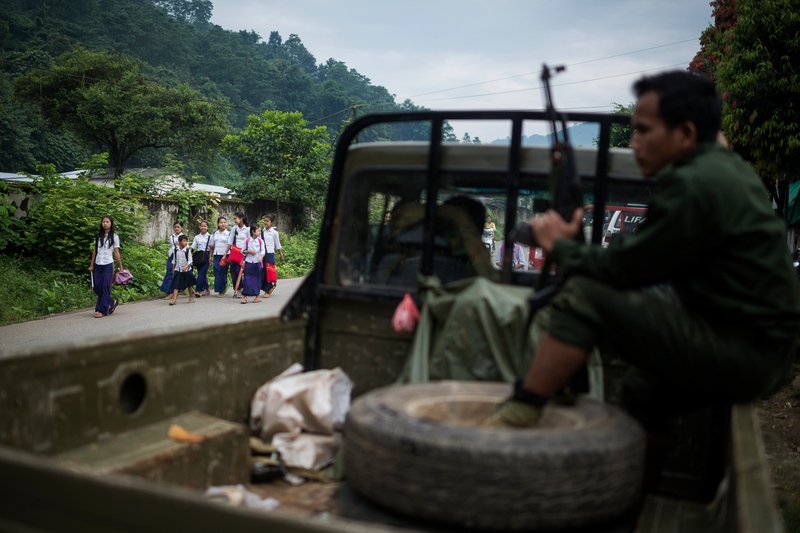 A group of children passes a Kachin Independence Army rebel truck on their way to school in Laiza, Kachin state, Myanmar. 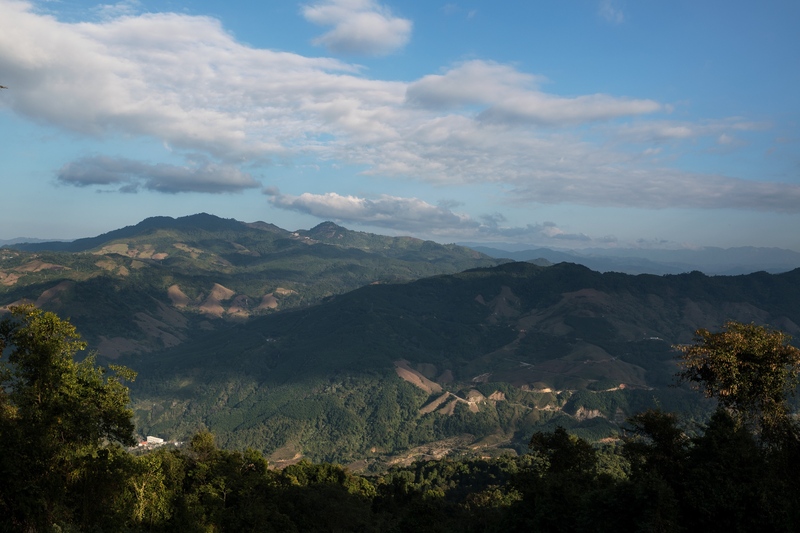 The KIA have been fighting for more autonomy and a federal government, where minorities like the Kachin could fully practice their culture and language, and with more control over the natural resources in the region. Bawk Ja, 15, and her baby cousin watching tv before school, in the Je Yang IDP Camp outside Laiza. The conflict have driven hundreds of thousands of people on the run, with several camps for Internally Displaced People (IDP) scattered along the border with China. 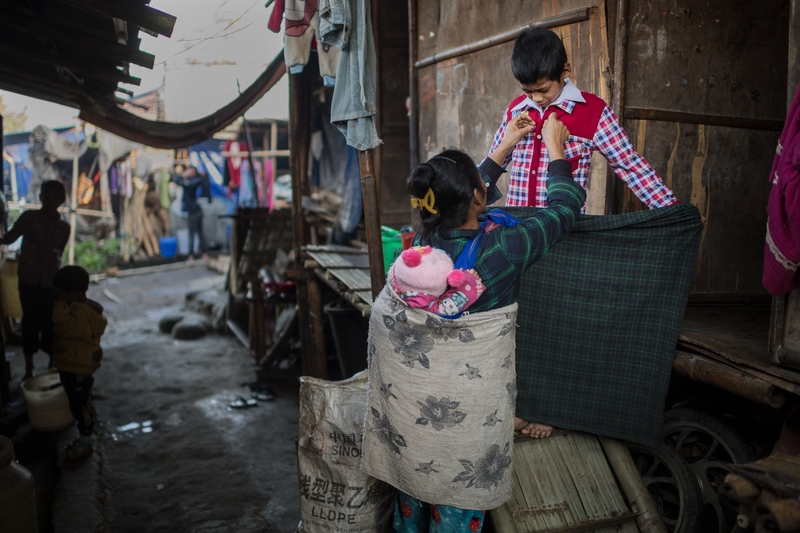 Marip Hkawn Bu, 35, is helping her son Myu Lat Awng get ready for school in the Je Yang IDP Camp outside Laiza. Arviato, an NGO, are giving painting classes for IDP children to help cope with memories and trauma. Here they are painting bunkers or "holes" with people in them. Tu Shan, 14 years old (boy in the back), says; I don't know why i chose these colors, it just looked good. I have seen these holes myself, they are used to hide from bullets and bombs, it is a scary place. N Dan Seng Nan, 16 years (girl in the front), have been in the painting class for three years. 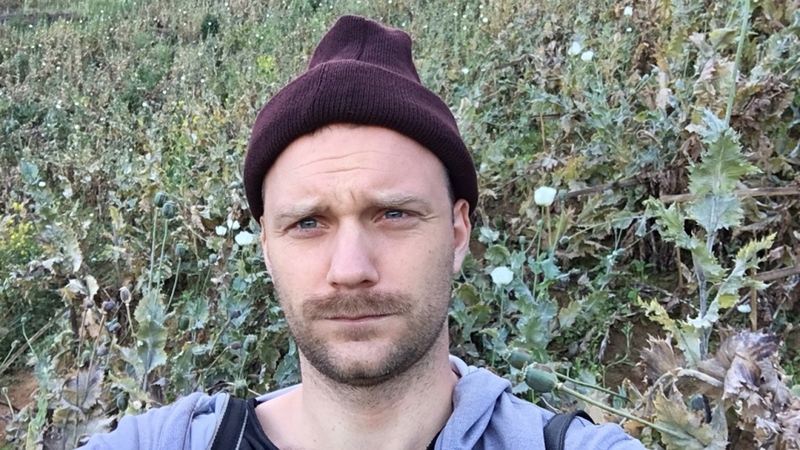 – In 2014 i had to help build bunkers when the army helicopters came. I saw the helicopter myself, it's my friends and family in the hole, and it's a scary place. I still feel worried around that hole and i wonder when it will happen again. Nu Mai and Bawk Ja, 15, put on Thanaka during the school lunch break. Thanaka is a traditional cosmetic paste made from ground bark, used by women and girls all over Myanmar. 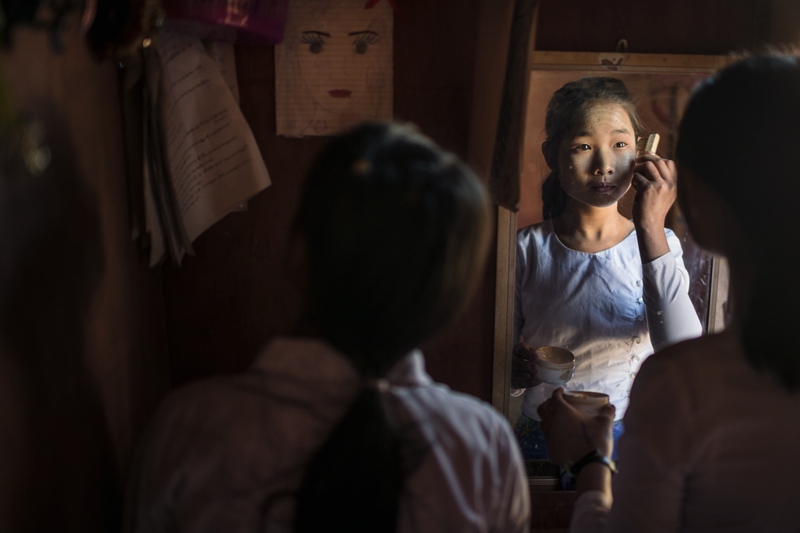 Seng Mai, 16, dropped out of school last year, and is now helping her mother more around the house in Je Yang IDP camp. She says she got tired of school, but that she will go back to school next year. 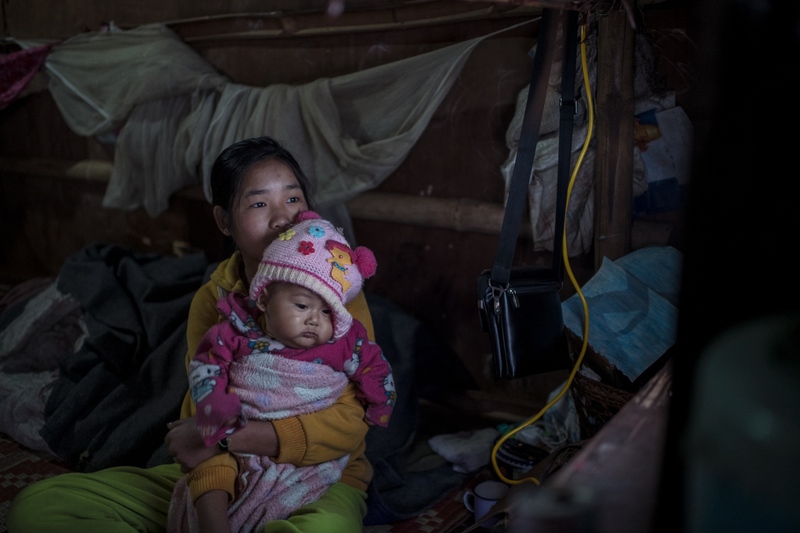 Since 2011 over 100 000 people have been driven from their homes and now live in camps for Internally Displaced People in Kachin and Shan state. 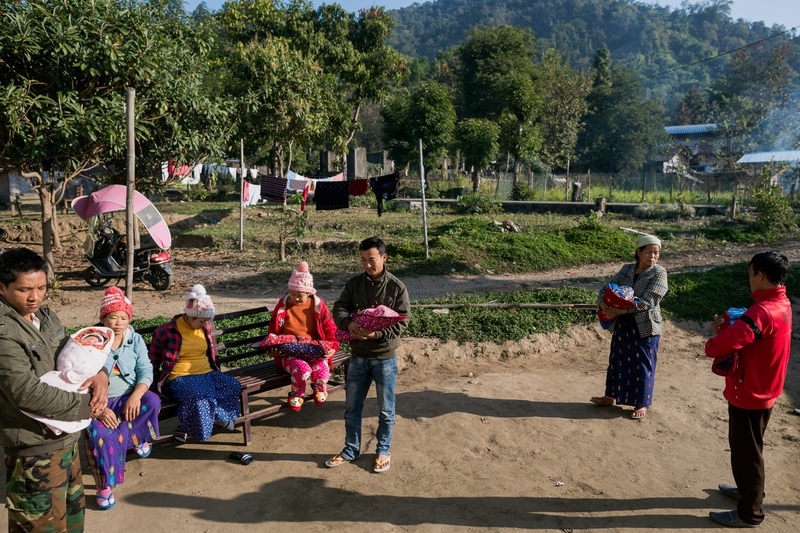 Since then the camps have evolved in to small societies with schools and markets, but the IDPs are vulnerable, with the Myanmar army blocking international aid to the camps. And the camps are not safe from the fighting, in 2018 several grenades have landed in or around IDP camps. In this IDP camp, near Mai Ja Yang, some of the inhabitants have livestock or farmland to cultivate to survive. 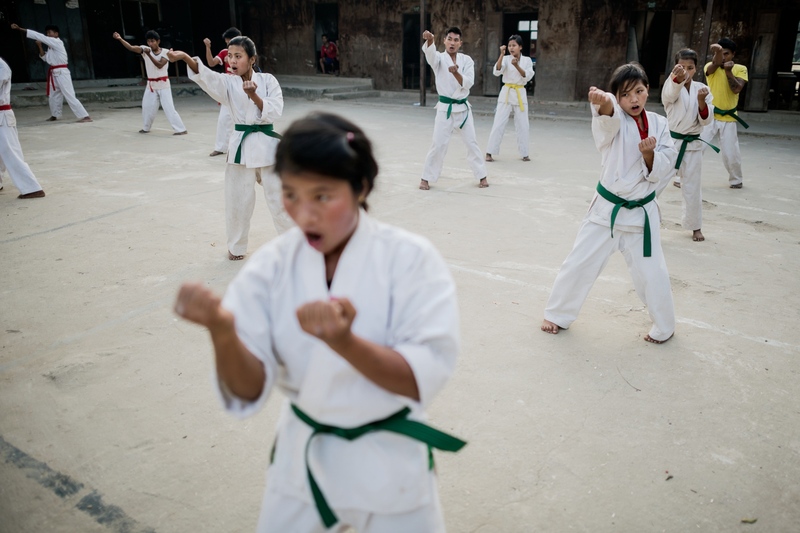 Children practicing Karate after school in Je Yang IDP camp. 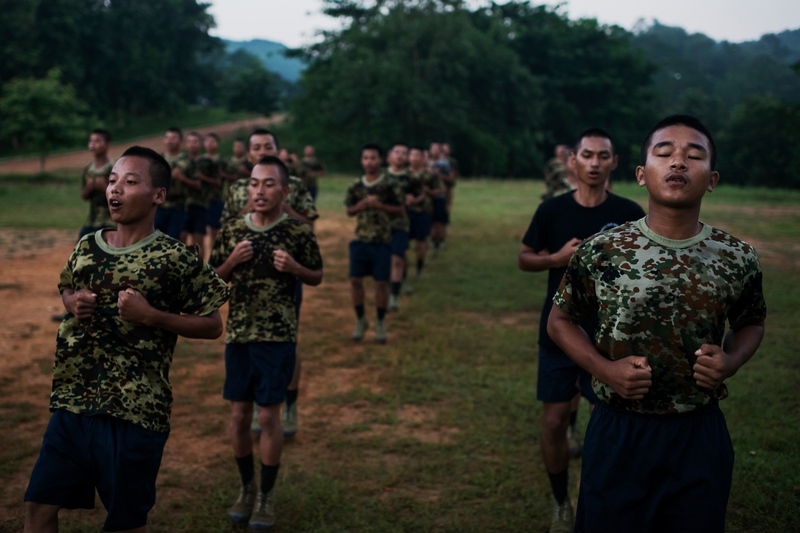 Recruits of the KIA National Service during daily morning exercise in Laiza, the KIA headquarters in Kachin State, Myanmar. 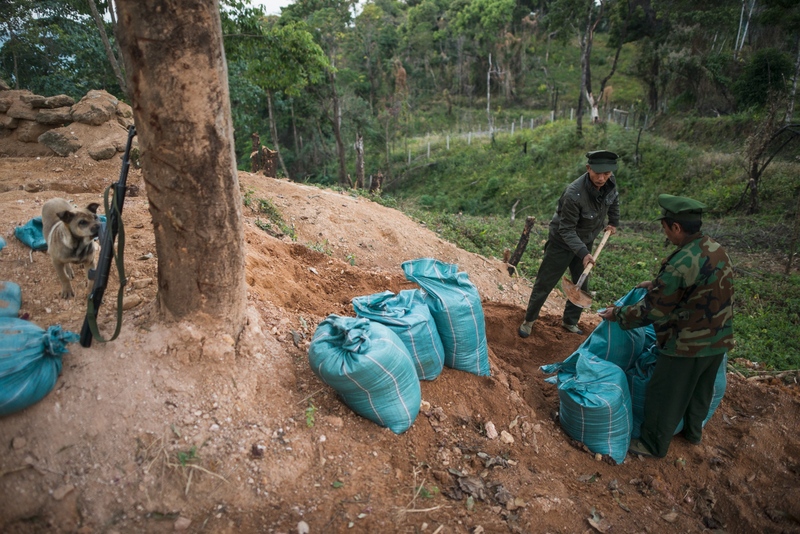 Aung Lun and Naw San, Kachin Independence Army Soldiers, reenforcing their positions with sandbags at a frontline outpost just 1 km from the Burma Armys nearest outpost. Manji the dog is inspecting the rifles. A KIA soldier watching the outer defences of one of the KIA Mobile Brigade outposts, just 1 km away form the closest Burma Army outpost. Byuwa Yaw Han, Aung Lun, Naw San and Aung Lat, of the Kachin Independence Army, saying grace before breakfast at a frontline outpost just 1 km from the Burma Armys nearest outpost. Corporal Labang Lum Mai, 31, was hit by shrapnel on December 18. 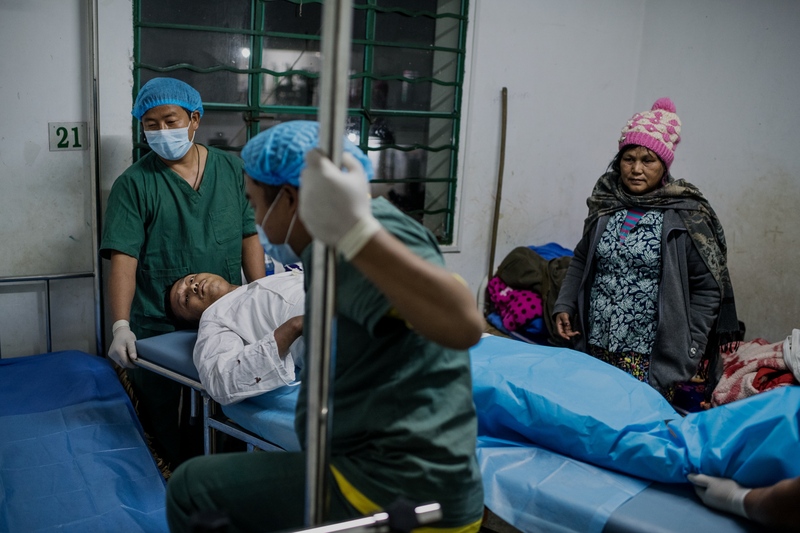 The metal hit his leg and broke it during clashes with the Myanmar Army. His mother Mahka Roi Tawng, 57, is visiting at the Mai Ja Yang hospital as Lum Mai is rolled out from surgery. He says he wants to get back to the fighting when he gets better. – I have been in combat before, but never this intense, they attacked us with grenades, airplane bombing and troops on the ground. I saw my friends die, he says. 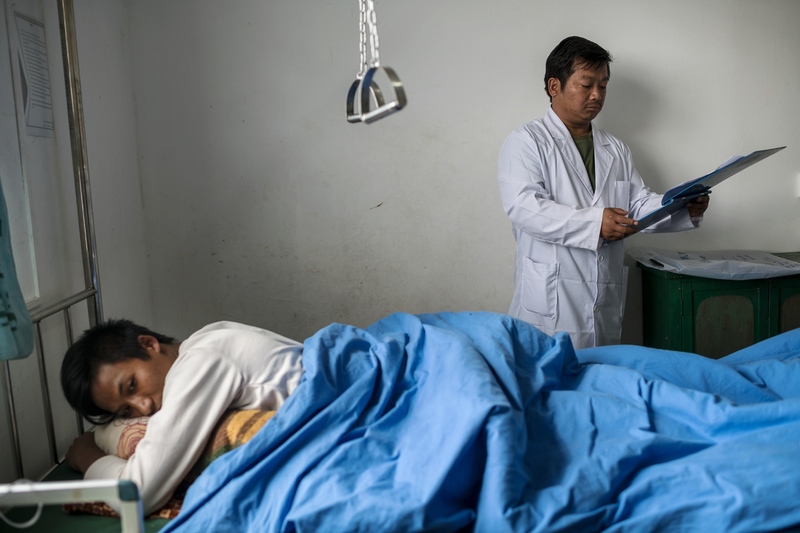 KIA Private Labya Tu San, 23, was hit in his back on December 20 in clashes with the Burma Army. A RPG or 84 mm grenade hit just behind him as he was reloading his rifle. He was in chock, he did not feel any pain but noticed that he could not move. – It is a permanent injury, the doctor says, showing on x-rays where shrapnel hit the privates spine. In 2018 the fighting in Kachin State has intensified, with reports of new waves of IDPs getting cornered against the border with China. The national peace process have halted since the army keeps attacking rebels across the country. Rebel groups that refuse to put down arms as long as they are threatened by the army, fearing that as soon as they disarm, the army would move in and seize control. The conflict has been ongoing since the KIA was formed in 1961, and is one of the worlds longest conflicts. New generations are still born in to a conflict without an end in sight. 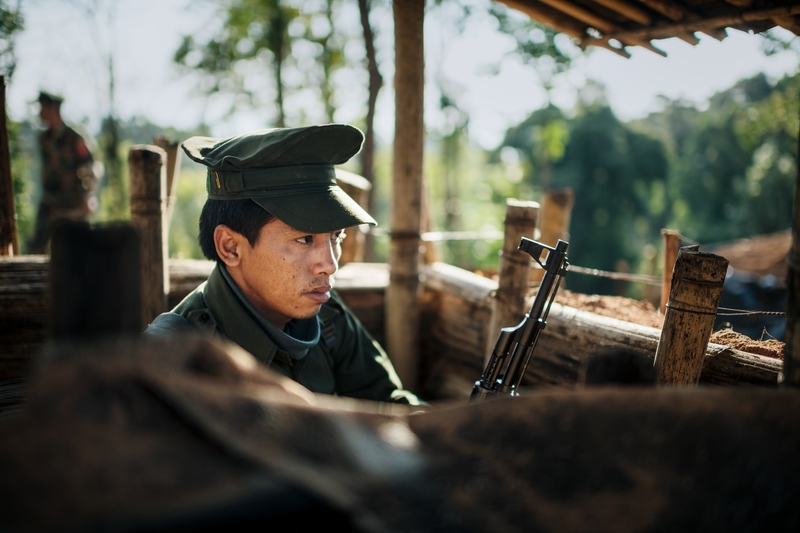 For the young generations in Myanmar's conflict-ridden north, war controls everything. Ongoing since the early 1960's, the conflict limits access to education, livelihoods and life itself. 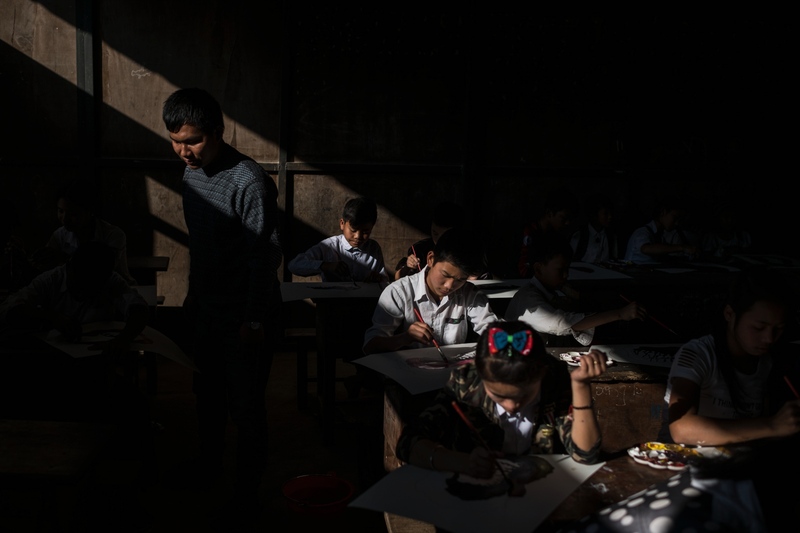 Kachin state is a perfect example of a "protracted crisis", where insecurity and refugeehood has become norm rather than exception, as local and international relief organizations struggle to provide help. 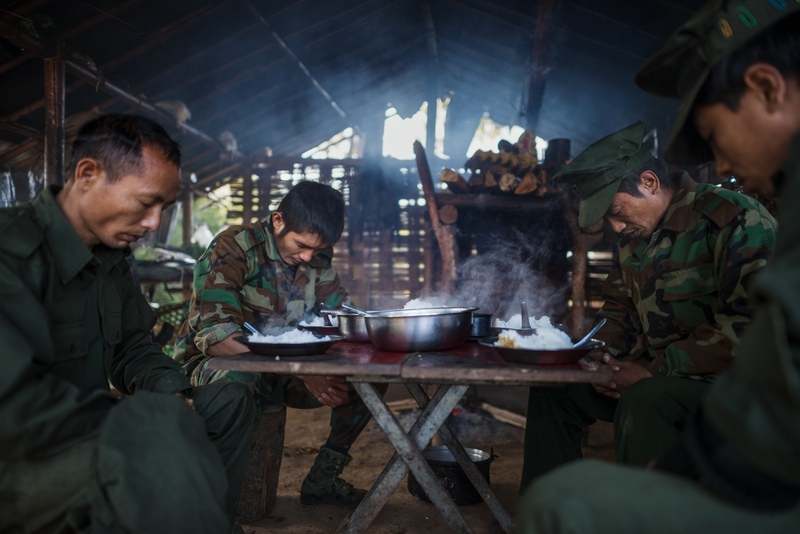 By Vilhelm Stokstad — Over the last couple of months, the Burmese military has intensified its attacks on rebel groups in north and northeastern Burma. According to..